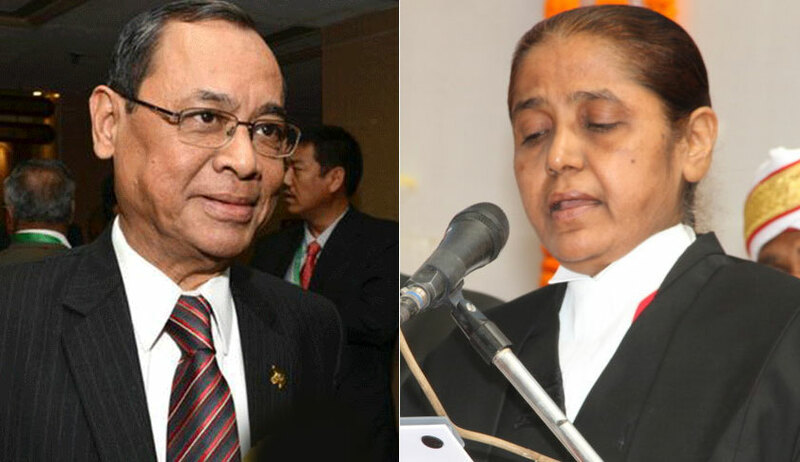 The Supreme Court bench of Justices Ranjan Gogoi and R.Banumathi, on December 1, took note of the fact that all the High Courts have communicated the requisite information with regard to grant of medical allowances to their retired Chief Justices and Judges, to senior advocate, P.H.Parekh, who represents the petitioner, Justice V.S.Dave, President of the Association of Retired Judges of Supreme Court and High Courts, in an ongoing case before it. The bench requested Parekh to examine the matter and take into account the practices prevalent in the High Courts of Madras, Karnataka as also the Andhra Pradesh and Telengana and submit a report on the next date fixed, with regard to the precise position that is prevalent in the different High Courts to enable the Court to consider the feasibility of passing an order which will uniformally apply to all the High Courts. The Court had adopted a uniform formula in the case of telephone allowance, and other allowances, for the retired CJs and Judges earlier. The bench of Justices Ranjan Gogoi and Navin Sinha, directed adoption of Andhra Pradesh model, that is, Rs.14000 per month to the retired CJs and Rs.12,000 per month to the retired Judges of the High Courts, for defraying the services of an orderly, driver, security guard, etc. and free telephone calls to the extent of Rs.1500 per month over and above the number of free calls per month allowed by the telephone authorities. Many State Governments have complied with this direction, with effect from October 1, 2014. The question of medical allowances arose when the Registrar General of the High Court of Himachal Pradesh informed the court that the Judges Committee had resolved to adopt the rules for reimbursement of medical expenses of High Court Judges of the Bombay High Court and its benches and their family members relating to the treatment taken in private hospitals for specified 27 emergent and five serious medical situations. The Himachal Pradesh Full Court approved the resolution of the Judges committee on June 1, and the matter has been forwarded to the state Government. While adjourning the case for eight weeks to enable the State Government to take a decision, the bench had requested Parekh to bring on record the practice prevalent in different States with regard to medical reimbursement on or before the next date fixed. On Friday, the bench had directed the Registrars General of the High courts of Kolkata, Delhi, Odisha and Uttarakhand to be personally present to explain why they had not communicated the requisite information to Parekh earlier. The bench expressed its dissatisfaction with the reply offered by the RG of the Uttarakhand High Court. RGs of High Courts of Kolkata and Odisha attributed their non-compliance with the previous order, due to delay in receiving the order of the court. The matter will now be listed on February 21, 2018.